Squamish is a small town in British Columbia, about an hour north of Vancouver. It’s a town that many visitors pass right through without even realizing, as it’s on the way from Vancouver to Whistler. If you’re into outdoor adventure, skipping it would be a huge mistake. I spent a few days in Squamish and quickly realized that almost any outdoor activity that you can think of can be done there. There are endless opportunities to climb things. Squamish is well known for its climbing. Climbers from all over the world come here to scale the many mountains in the area. There are routes mapped out for all levels of experience. I’m newer to climbing and got to try out the Mountain Skills Academy’s Via Feratta. It was a great intro to the sport. 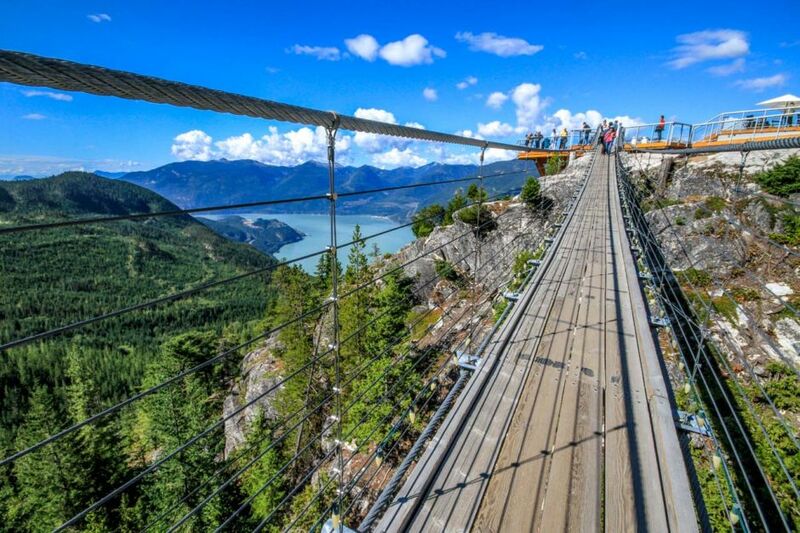 The Via Feratta is a climbing route at the top of the Sea to Sky gondola, and created by metal rungs and a special cable system. It was the first time I had experienced hanging off of a rock that high up, which was, I’ll admit, a bit scary, but mostly exhilarating. There are some very impressive views. This image was taken as I was standing on the suspension bridge located atop the Sea to Sky Gondola. It was one of the most amazing views I have ever seen. Once at the top, there are 3 different viewing platforms, as well as many different hiking trails. You can easily spend an entire day up there, exploring the area and taking in the views. You can try out so many watersports. Squamish is located at the top of a scenic fjord area known as Howe Sound. 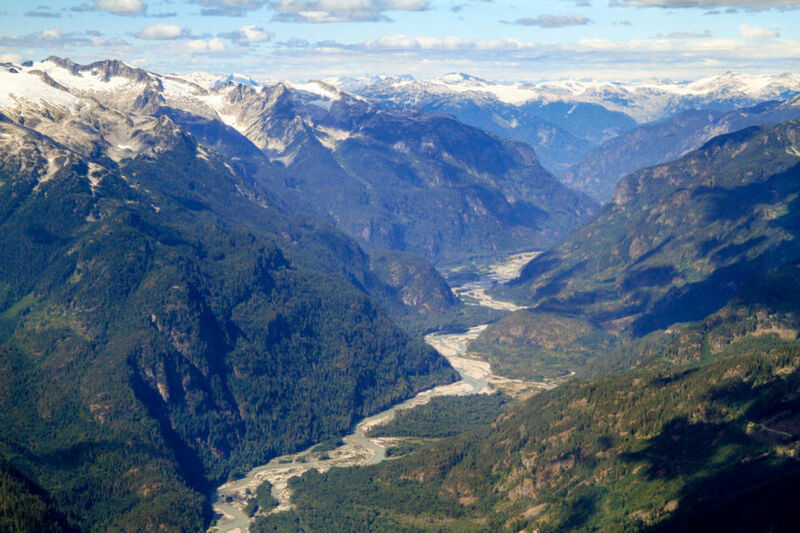 The area where the Squamish River flows into Howe Sound is known as “The Spit”. The geography of this spot creates very windy conditions, which make it perfect for windsurfing and kiteboarding. A little further down, the calm scenery of the Howe Sound harbor make it a beautiful place for stand-up paddle boarding or kayaking. I gave stand-up paddle boarding a shot for the first time with Norm Hann Expeditions. Once I got over the initial fear of falling into the freezing cold water, I was able to relax, paddle my way around, and enjoy the surrounding scenery. There’s great craft beer, for when you need a break. After a long day of outdoor activities, you’re probably going to be a bit thirsty. Luckily enough, Squamish has one of BC’s Ale Trails. 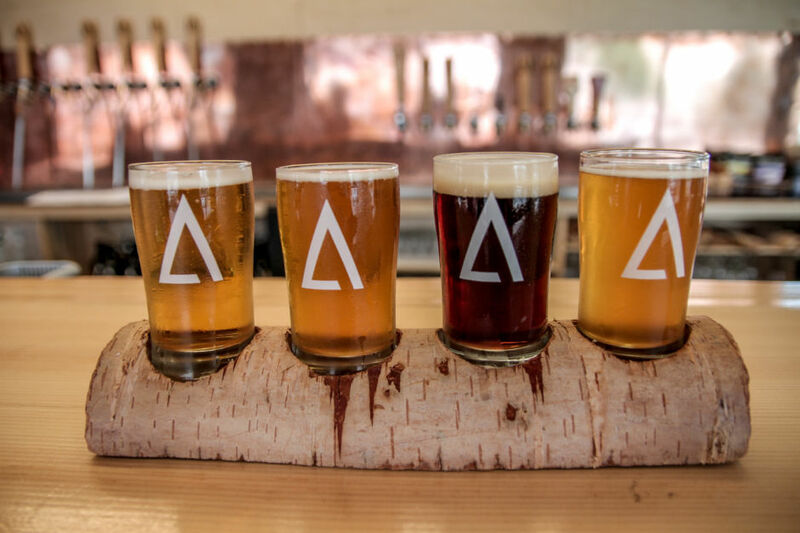 You can hit up all 3 of Squamish’s craft breweries: Howe Sound Brewing, A-Frame Brewing Co., and Backcountry Brewing. I rented a bike and sampled a few from each, and I would definitely recommend you do the same. It’s super easy to access the backcountry. 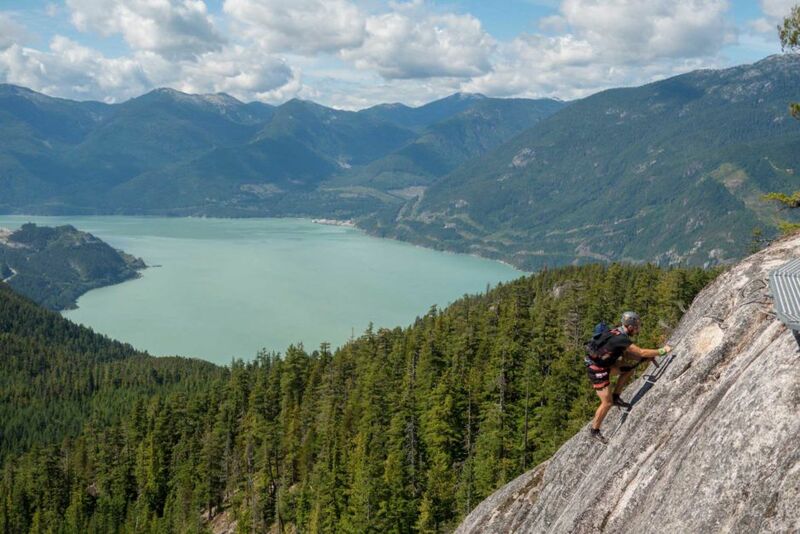 If you like getting out there in the middle of nowhere, Squamish is the place to be. There are a number of backcountry trails for hikers, skiers, and snowboarders that are very easy to get to. Many can be accessed from atop the Sea to Sky Gondola. Just be sure to review the safety tips on their website before heading out. There’s loads of wildlife to be seen. This photo was taken as I was floating down the Squamish River with Canadian Outback Rafting. We saw at least 10 or more seals along the way. I had never seen seals in the wild before, so this was pretty exciting for me. I quickly learned they are playful and sneaky little creatures. 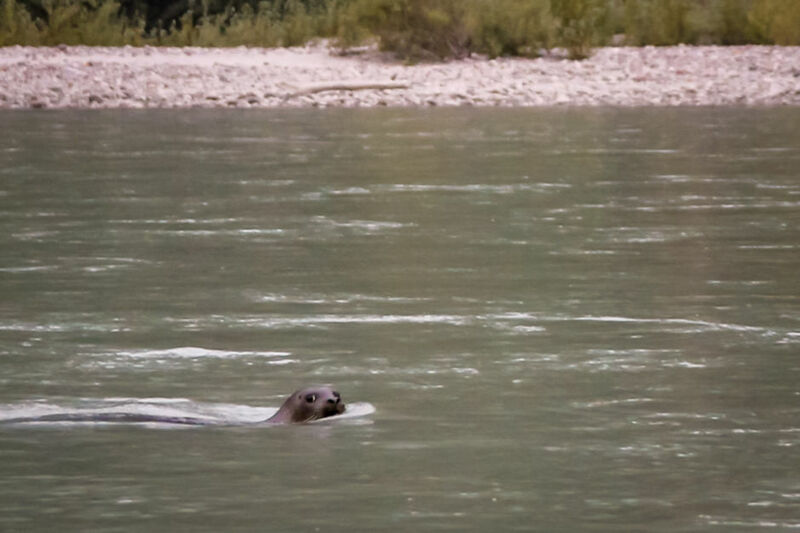 For Squamish residents, it’s not uncommon to see bears, whales, eagles, and other majestic animals, throughout the year. 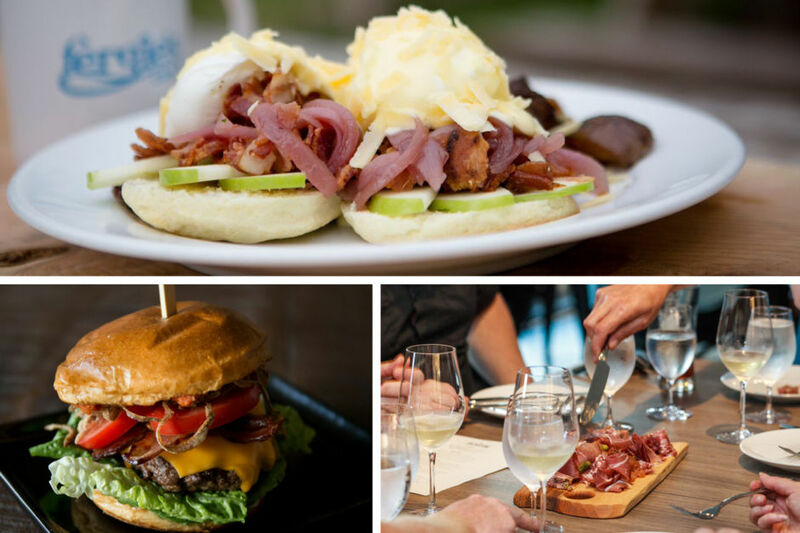 It has awesome options for every meal, to fuel your adventurous outings. You can literally explore sea to sky. Squamish’s scenery on land is beautiful, as there are mountains all around. But you don’t realize what’s beyond these mountains until you are thousands of feet in the air. One of the highlights of my trip was going on a scenic flight with Sea to Sky Air. The scenery was unbelievable. 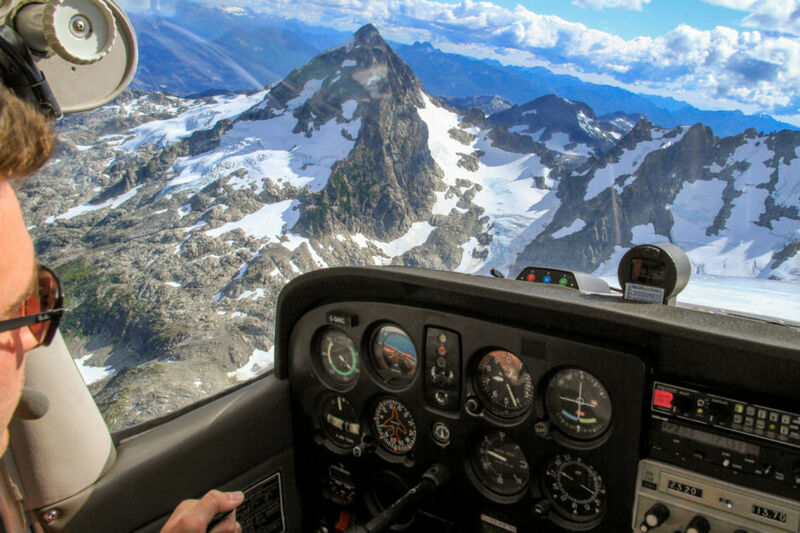 I couldn’t believe how close my pilot Dave could get to the glaciers and lakes high up in the mountains. 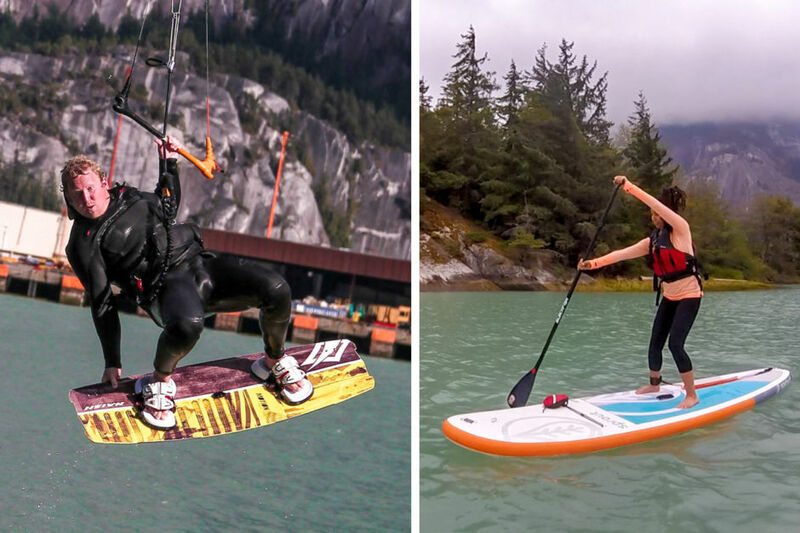 Being up there really makes you appreciate and understand how Squamish’s location makes for so many unique activities, all in one place! Note: Jessica was a guest of Destination BC.